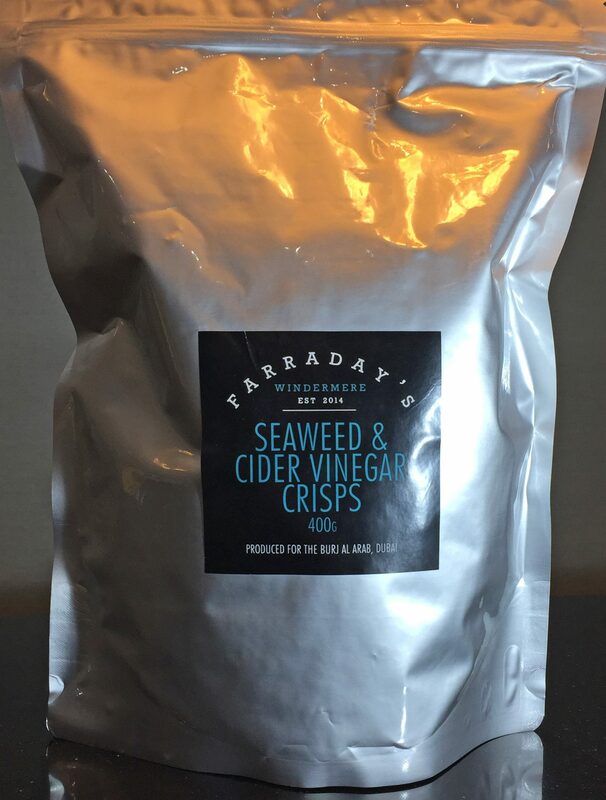 Introducing the first in our brand new range of Farraday’s gourmet crisps. 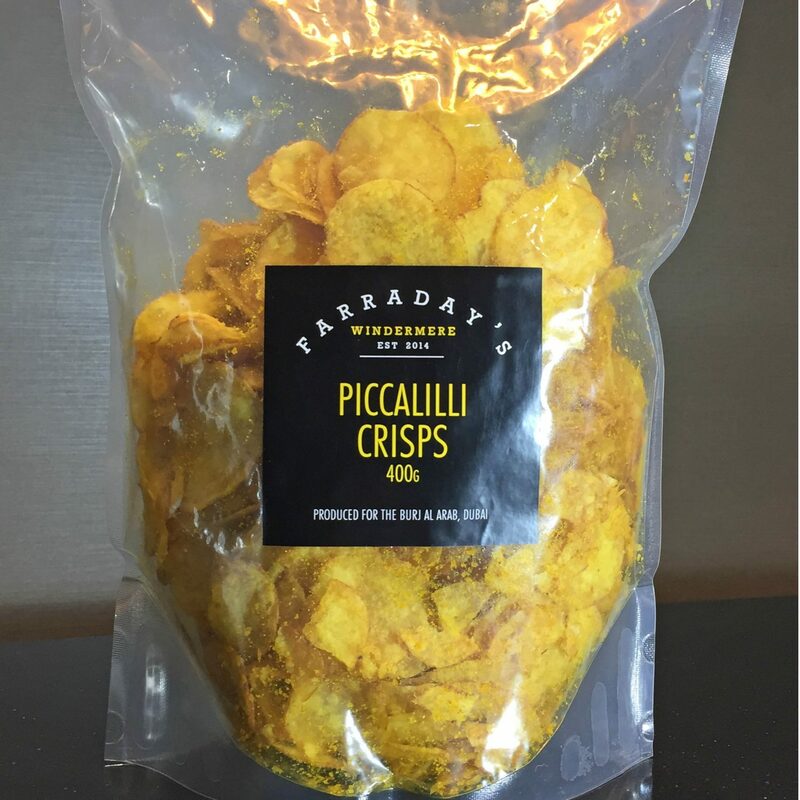 Originally design for the Burj Al Arab hotel in Dubai, they were too good to keep secret. 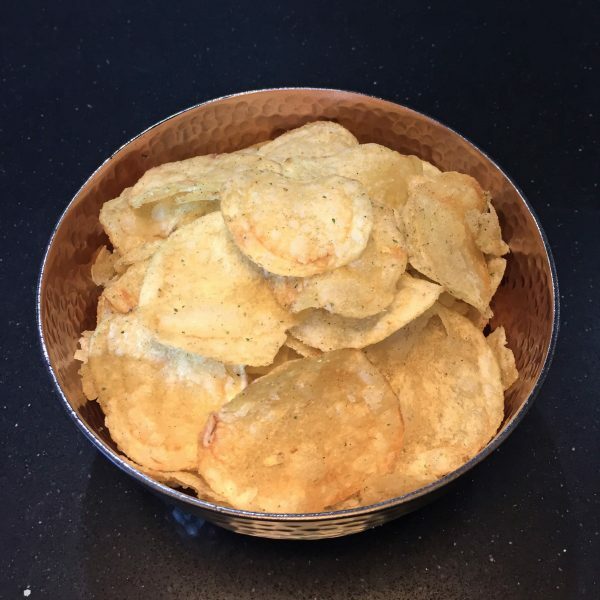 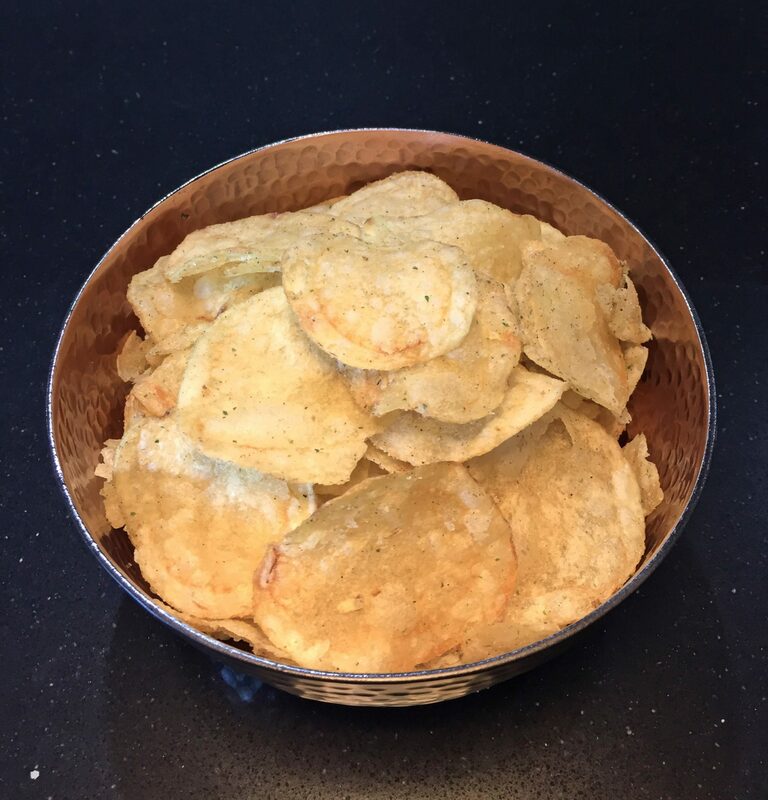 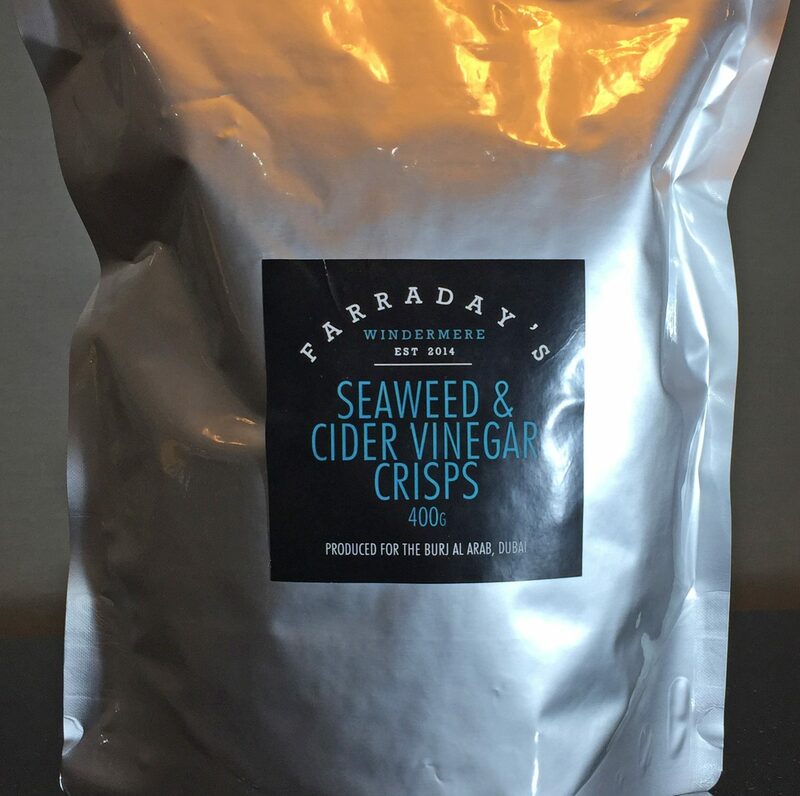 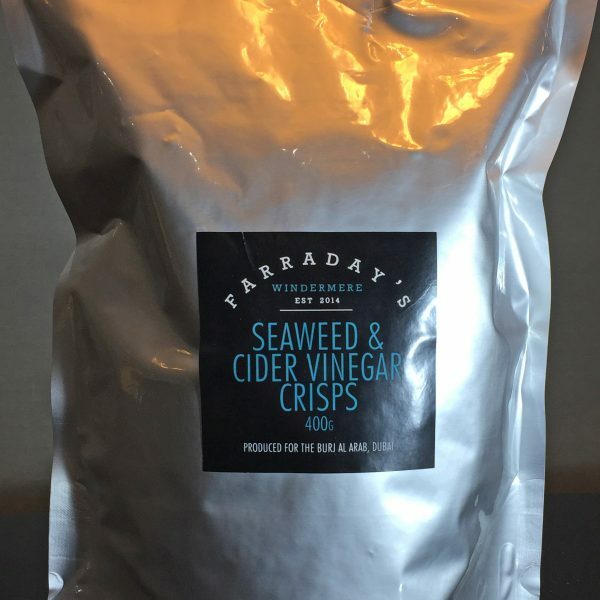 Our Seaweed & Cider Vinegar crisps bring a new earthy twist to the traditional salt & vinegar flavour and come in a large 400g resealable bag perfect for sharing or keeping all to yourself.